Tuition payments may be made annually, semi-annually, quarterly or in 10 or 11 monthly installments. Monthly and quarterly payments are made through electronic funds transfers only. Deductions are debited from June through April. The total cost of each SPSV student's education exceeds the annual tuition charged by the school. Tuition and fees account for a bit over 90% of the school's income. The balance of our budget is gained through other efforts. Our Annual Appeal benefits the school from generous donations by our alumni, current parents and friends of the school. The St. Patrick-St. Vincent Catholic High School Advancement Department, Parent Groups, Student Activities and Administration work tirelessly to raise funds to fulfill the schools budget needs. The annual Regents Auction, Parents Club Crab Feed and e-scrip program are a few of the school's fundraisers. Parents and Guardians are expected to contribute their talents and time through our Parent Service Program. Families are also encouraged to support our Annual Appeal each year. * Freshmen and new transfer student registration fee is discounted $100. Also, discounted $100 to returning families if paid by 4/15. The Diocese of Sacramento and St. Patrick - St. Vincent Catholic High School provide Financial Aid for families who qualify. Financial Aid allows the school to assist students who might otherwise be unable to attend. During these economic times the school has made exceptional efforts to work with families so that their students may be able to enjoy our quality Catholic education. To qualify for assistance a family must demonstrate need. To be considered for assistance, a family must submit an application to Tuition Aid Data Services (TADS), which assesses the application and advises the School. TADS may be accessed by clicking on this link. TADS will also require you to email or mail physical copies of tax returns and W2's. A letter explaining any changes in financial situation or extraordinary circumstances is highly recommended. Although the total financial need always exceeds the School's resources, SPSV strives to help as many families as possible. Families must submit their application beginning November 1st. Questions may be directed to our Tuition Manager at (707) 644-4425 ext. 420. Applications should be received by TADS by January 31st. Families of returning students who received assistance the previous year must re-apply each school year. 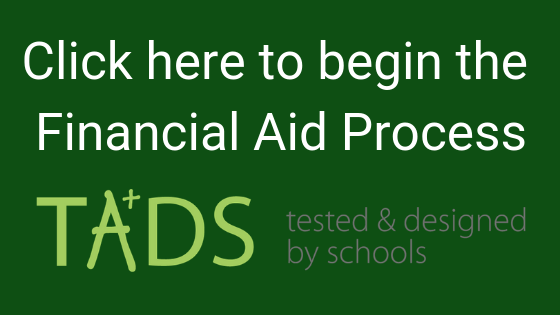 Notification of aid will be mailed for completed TADS applications rated "good" from St. Patrick-St. Vincent Catholic High School starting March 1st. Annual payment: One payment, due by August 1st. Semi-annual payments: Two payments to the school of one-half the year's tuition, the 1st by August 1st, and the 2nd by January 1st. Quarterly payments: Via FACTS, payments due July, October, January, and April. Monthly payments: Via FACTS, 10 or 11 months. Starting in either May or June for 11 months, or June or July for 10 months. Please contact the Tuition Coordinator for specifics. Fees and charges for additional activities not identified above may also be incurred.